BORLA PERFORMANCE INDUSTRIES has built a reputation as the leader in the design and manufacture of automotive stainless steel, carbon fiber, and titanium performance exhaust in the USA. For over 30 years, they have been committed to providing world-class exhaust products that surpass the expectations of our customers in providing the ultimate power, style, and endurance. BORLA products are built to last a lifetime because our main product line is crafted from aircraft-quality T-304 stainless steel. We utilize a metal tough enough to handle the heated gases, moisture and road hazards that bombard an exhaust system every minute an engine is running. Cars are lasting longer and longer, so the average car can require as many as 10 exhaust system replacements, depending on one's geographic location. T-304 stainless steel has the highest chromium content, making it the most resistant to corrosion. Also, this material allows us to design systems for maximum performance and sound quality. 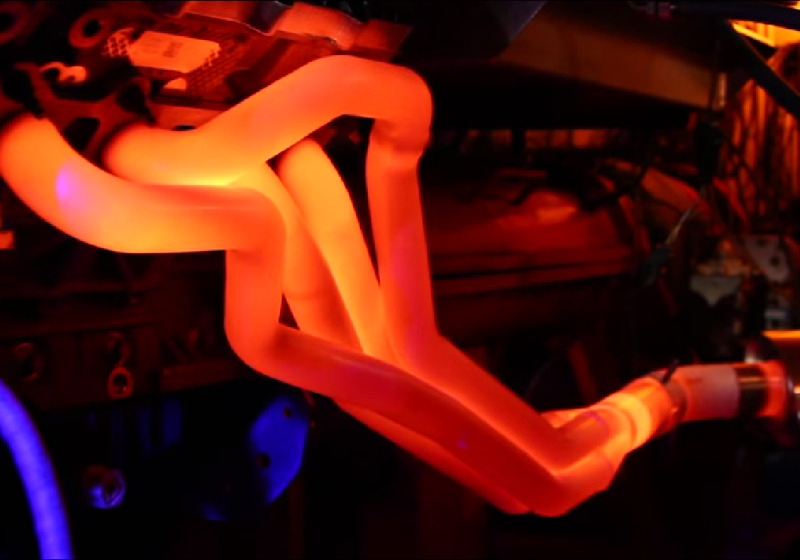 Borla have pioneered a variety of improvements in the design of performance exhaust. Founder Alex Borla currently holds three U.S. patents for innovative exhaust technology, and the company has won numerous "Best New" product industry awards throughout the years. Their dedicated R&D facility employs the latest technology and equipment, including a Quadrant Scientific FlowLab 1400CFM state-of-the-art purpose built flowbench, DynoJet chassis dynamometer 20-1200 Horsepower/up to 200 MPH (model# 248), DynoJet portable motorcycle dyno 0-500 Horsepower/up to 200 MPH. (model #200), a Faro arm coordinate measuring machine (model T10-02), and a Bruel & Kjaer sound meter –30 to +200db (model#2236). The Borla production facility employs the Toyota Production System (TPS), the latest manufacturing technique. This continuous flow production system allows for flexibility of smaller or larger runs. Concurrently Borla are QS9000 and TS16949 approved.